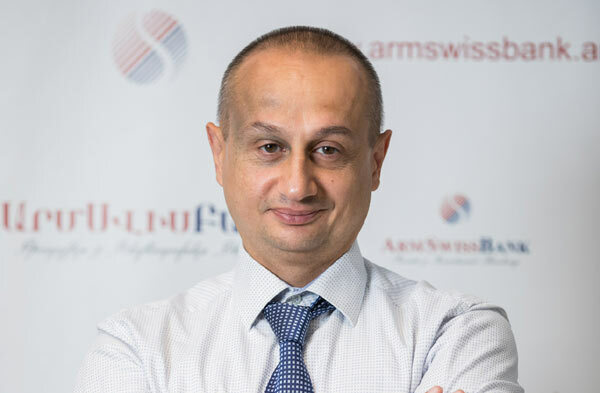 Mr. Gevorg Khachatryan, Management Board Member and Deputy CEO-Director of Customer Service Department at ArmSwissBank spoke to us about trade finance in Armenia. What are the opportunities for trade finance in Armenia? Or how has the landscape changed in the recent years? As for other countries, for Armenia as well, trade is the driving force of the economy and is one of the indicators of the level of economic development. In recent years, due to the membership of Armenia in the Eurasian Economic Union and signing a cooperation agreement with Europe, the volumes of international trade have increased, and this positive tendency will continue. Consequently, parallel to this development, the trade finance opportunities have been developed for both importing and exporting companies. Since its inception, ARMSWISSBANK has prioritized the development of trade finance and has always worked towards the development of the TF services. I can say with certainty, that current Bank’s Trade Finance services include almost all of the internationally accepted financing and risk-mitigation services, which аре satisfactory for importers and exporters alike. I can even insist that ARMSWISSBANK is also a leader in terms of its trade finance technologies. 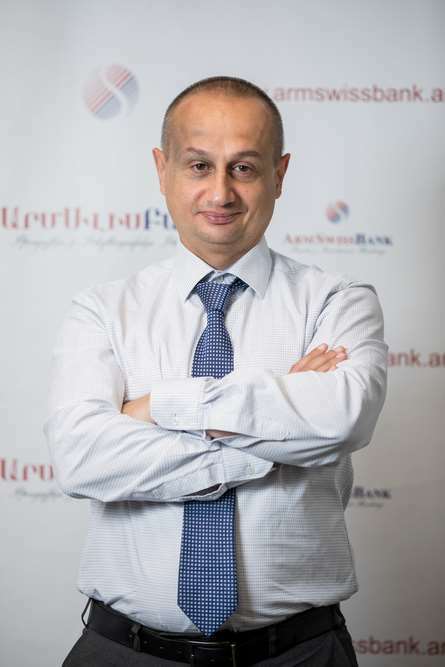 It is necessary to mention that in the recent years, the approaches of the Trade Finance instruments’ usage have been changed, both by Armenian banks and Customers. In the past, neither the banks nor the clients differentiated the loan objective, but rather the loan resources were provided against collaterals. However, in a sharp competition environment, the banks were obliged to upgrade their financing services by making them accessible in terms of both interest rates and targeted usage of loans. The customers’ demands has risen as well regarding the services provided, not only in regards of lowering the interest rates, but also financing without pledges. All this leads to the fact that the Trade Finance quality has been upgraded and is accessible for clients. Alongside all these, our research has shown that the potential of trade finance, both in terms of foreign trade and domestic trade finance, is great. In 2017, your trade finance portfolio saw an increase of 73%. What do you attribute to this growth? First of all, I would like to clarify that the 73% growth has been achieved due to several factors, not only one circumstance or one transaction. The registered indicator is a result of a number of measures aimed to increase both qualitative and quantitative index in trade finance portfolio. I do not rule out that similar qualitative growth will be registered in 2018. Expansion of the Trade Finance instruments. We find solutions for any customer both importing and exporting, as we provide practically all kinds of trade finance services, including domestic and international factoring, financing under the policy of the Export Insurance Agency of Armenia, Letters of Credit, Guarantees, short-term import / export lending, supply chain finance. We offer the services that match most with the customer’s specific requirements. Trainings and seminars organization for Bank’s and customer’s employees. Providing currency exchange risk mitigation products together with trade finance services. Paying special attention to the sales team. I want to stress once more that it is extremely important to implement the above-mentioned steps periodically and consistently. There is another important aspect that I would like to draw your attention. Trade finance services, providing by ARMSWISSBANK are implemented without any property security and, as a rule, with more favorable conditions comparing with other lending products. The set of instruments designated for trade finance offered by the Bank is of no less significance, which corresponds to the international practices. Apart from the aforementioned products, the Bank also offers its clients a range of services which reduce payment risks and the risks of foreign currency fluctuation such as Forward, Future, SWAP, and Option. Moreover, the Bank highly values improving the professionalism of its employees and ensures their active participation in different seminars, conferences and trainings. Furthermore, in 2014 the Bank was nominated for the “Excellency Award” by the EBRD for the number of the Bank employees participating in online training and their excellent results. How important are partnerships in trade finance? Actually, collaboration with international financial institutions and banks plays a crucial role in the process of developing and delivering trade finance products. Moreover, they are beneficial in the sense of providing access to financial resources at a significantly more affordable prices. Having that in mind, the Bank has always fostered cooperation with international institutions and leading banks in trade financing. The Bank’s main partner in this field is EBRD, the cooperation with which has started in year 2010. During the period 2010-2018 the credit line / revolving limit verified for the Bank by EBRD in the framework of trade financing has increased by four times. Furthermore, in 2014 the bank was granted the status of “Confirming Bank” by EBRD, authorizing to make the decision to pay against the documents presented in international trade finance transactions carried out by the EBRD’s approval. The Bank actively cooperates with ADB since 2014 (since the beginning of the cooperation till the present, the revolving limit / credit line for the Bank has doubled as well). Concerning the partnership with banks which confirm international trade finance transactions, the documentary transactions issued by the Bank are substantially confirmed by the leading Swiss Bank UBS AG. For the purpose of providing international factoring services to the clients, the Bank has joined FCI (Factors Chain International) in 2008. Summing up, I would like to note that the Bank actively works towards deepening its existing partnerships as well as expanding the scope for new collaborations. What are the risk factors associated with international trade finance and what is the best way to counteract them? During its operations, the Bank has faced certain risks, specific to international trade sector, which, however, have not resulted in any major issues thanks to the Bank’s risk management approaches or the trustworthy and experienced partners. The risks are primarily related to the payments made by partners in other countries, however, we are able to collect and evaluate the information we need to make a decision by taking advantage of technologies and the means available to our partners in different countries. How are the challenges in obtaining trade finance different for SME’s versus large corporations? Unlike large corporations, partnering with SMEs in the framework of trade finance is more complicated and comprehensive. The difficulties starts in the sales phase. This is largely due to the fact that similar companies, as a rule, have previously worked either on a prepayment or on an open account basis, and they relate to international trade financing products as additional and costly products. Moreover, since employees of these companies do not have the appropriate knowledge and experience, our specialists are more involved in the negotiations concerning the transaction. In order to improve this situation, the Bank periodically organizes seminars and workshops for its existing and potential customers on international trade finance products. What are the opportunities available to domestic producers when it comes to export financing and how does the bank support them? As mentioned in the preceding paragraph, we actively cooperate with the Export Insurance Agency of Armenia and the FCI, and offer local producers the possibilities of both pre-export financing (intended for the acquisition of raw materials, packaging, transportation, customs and other costs required for the implementation of export programs) and post-export financing (provided to exporters based on assigned accounts receivables, when deferred payment term is fixed in trade contract). In regards of encouraging local producers by the Bank, the export-oriented products, unlike other financing products, do not require collateral and are offered at relatively lower prices. Once again, I would like to reassure that in case of submission of an export project acceptable to the Bank, the Bank finds the solution for any financial issues. What are your plans for further growth and development? Since international trade financing remains a priority for us, the Bank will use all its capabilities, including human force, technological, and relations with its partners, to further deepen its positive experience and to avail of the existing potential as much as possible. In 2018, we intend to at least double our customer base, as well as our current portfolio. Serious efforts are being made to develop the trade finance instruments and to upgrade them to match with the internationally accepted new technologies. For this purpose, the Bank is ready to cooperate with other financial institutions as a financial resources and new technology providers, to increase the sales of trade finance instruments.